I was in the mood for some music tonight so each title of the Good Things has a lyric to a song… see how many you can get without reading the details! 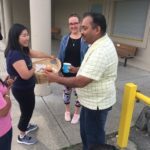 (Updates and info in The Week Ahead follows the writeup of the many good things happening at our school). Might As Well… JUMP! Any Van Halen fans out there? No? Just me? 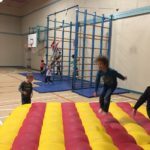 Well, forget the lyrics but the PE students had a blast jumping up and down from all sorts of apparatus this week. 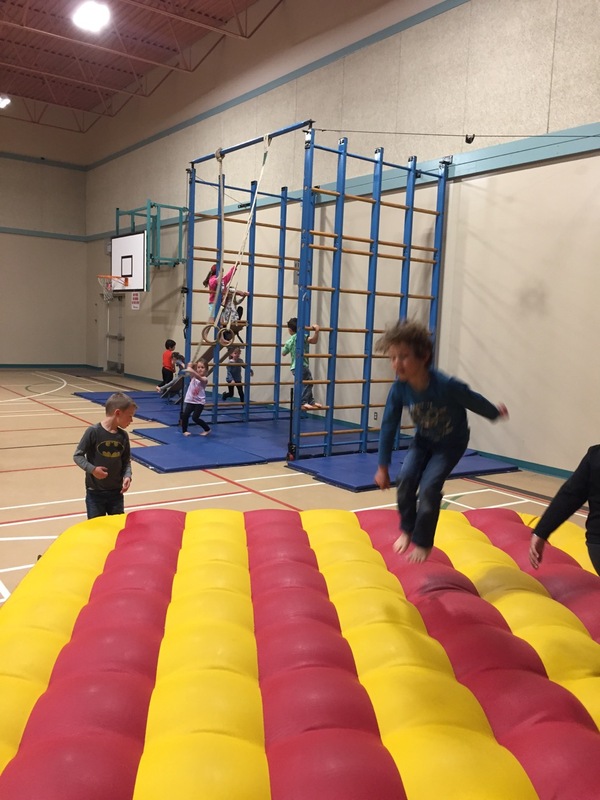 Students had mats, benches, the vault, a bouncy mat, and our clu=imbinag apparatus to play on and burn some energy! The Age of “Aquarium” – How about any 5th Dimension fans? Come on! 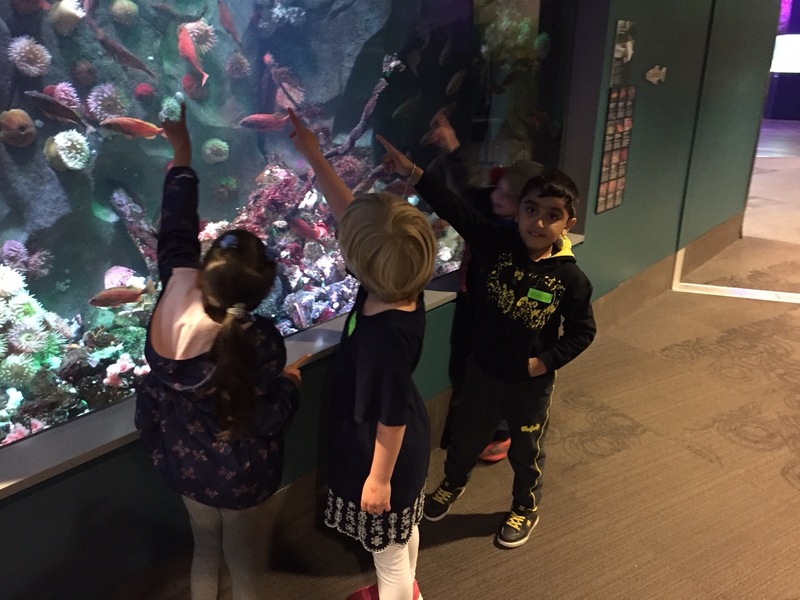 Moving on… This week Divisions 13 and 14 took the school bus to Vancouver to visit the aquarium. 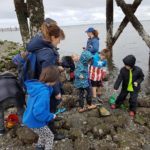 Students were excited to observe some of our coastal sea life as well as a variety of interesting creatures from around the world. During live shows, many children learned about the habits and characteristics of sea lions and dolphins. 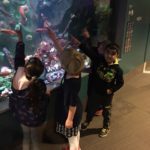 The penguins and sea otters were two of their favourites! Rock-Rock-Rockaway Beach – Ramones? Anyone? Clearly, I am dating myself now… Well, Mrs Peck, Mrs. Coffin/Jankoviak, and Miss Baird’s classes all had a blast at our 2018 Beach Day! 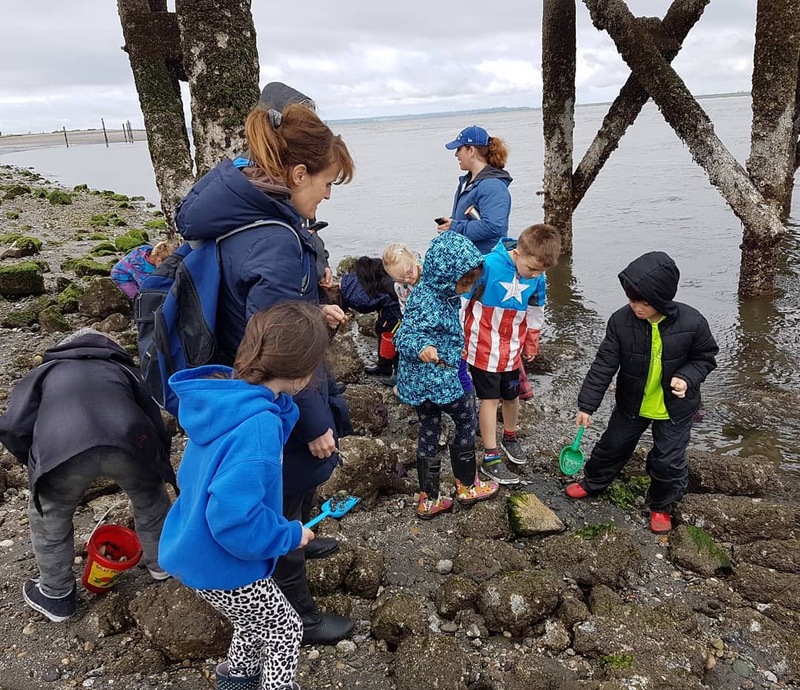 Students went to explore at the ocean in South Surrey where they saw many different types of invertebrates and had a chance to play in the biggest sandbox! Intergalactic Planetary, Planetary Intergalactic – What’s a newsletter without some Beastie Boys? 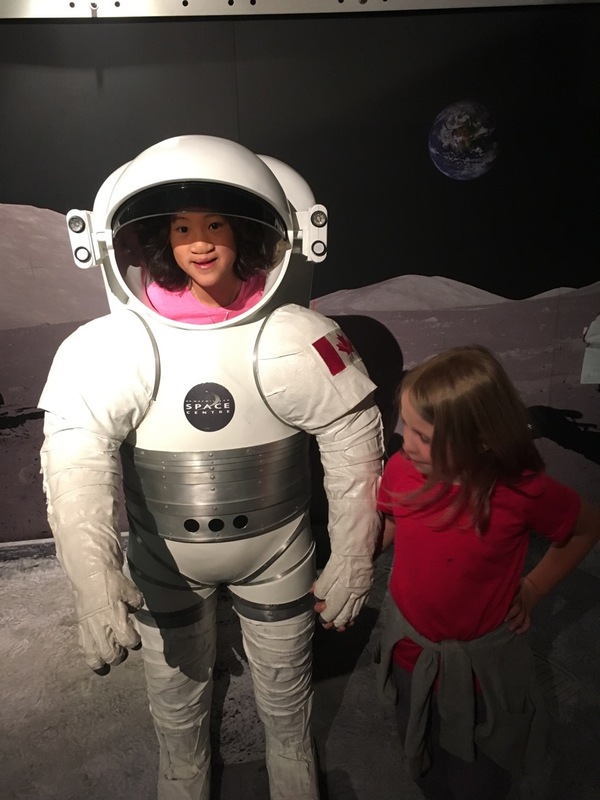 Mrs Hobbs and Mrs Reavley’s classes travelled down to the Space Centre and had a chance to explore the night sky and even try on a space suit (and of course, the most “interesting” learning of the day was about how astronauts pee and poop in space… go ahead, ask the kids!). Just Keep Swimming… – Some lyrics for the kids now… thank you, Nemo! 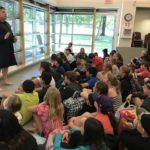 Our Grade 5s, along with all grade 5s in the district, have the chance to learn water safety through the program “Operation Waterproof”. Did you know you can make your clothes into a floatation device??? Our grade 5s do! Take a Look… It’s In a Book – Nothing better than the ole PBS… remember “Reading Rainbow”? Some of Mrs Johnson’s students have been struggling to be able to pick books to read. 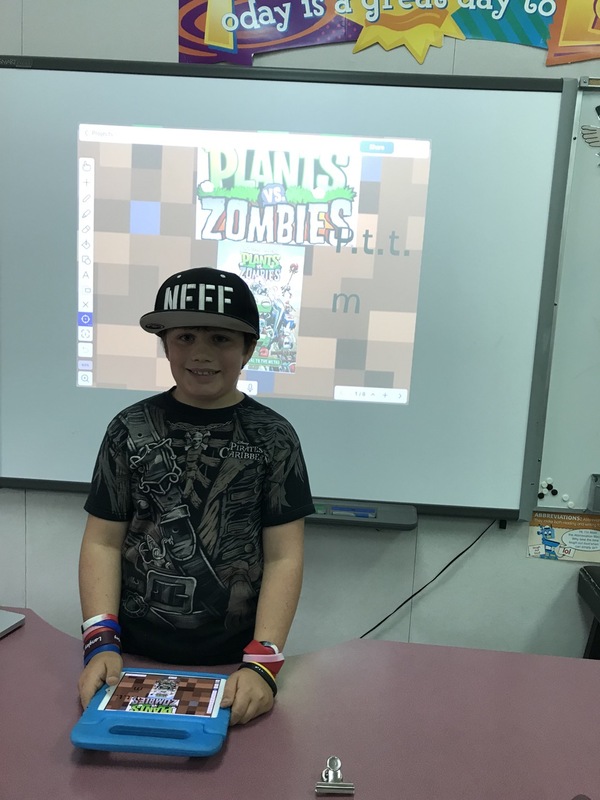 As a way to peak interest in books, students all shared their favourite book in the form of a “Book Talk” presentations. Always great to hear students sharing about the awesome books they read! I’ve Been Staring at the Edge of the Water – Continuing with our kid theme… Moana! 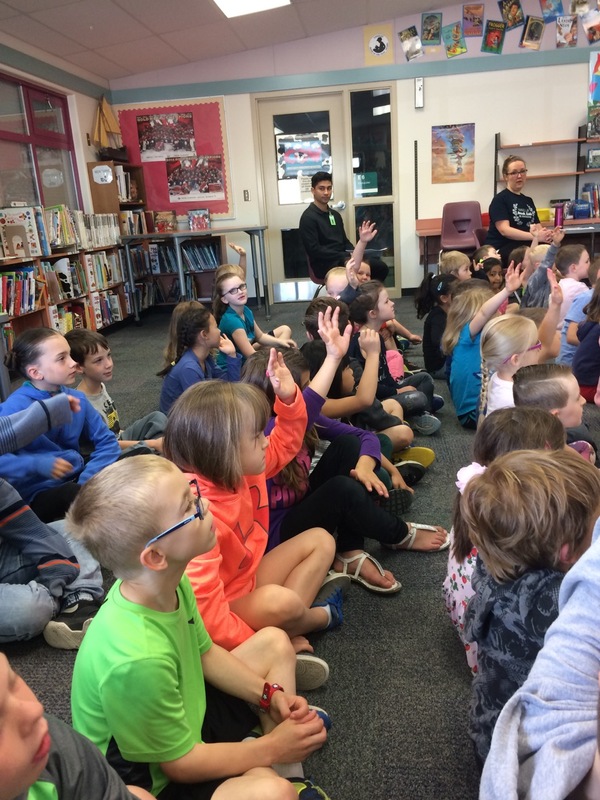 Mrs Hobbs, Mrs Coffin, and Miss Baird’s students also learned about some water safety in preparation for the summer as they had a presenter come in to teach them about being “Waterwise”. 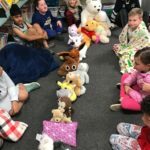 Start Spreading the News – Sinatra has been on our minds as Mrs Ulmer has been in for Ms Clayton for the past week and she was helping students develop their voices in writing. 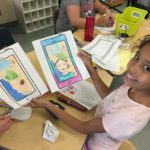 Students had to select someone who was important to them, interview them and then write an article about them. 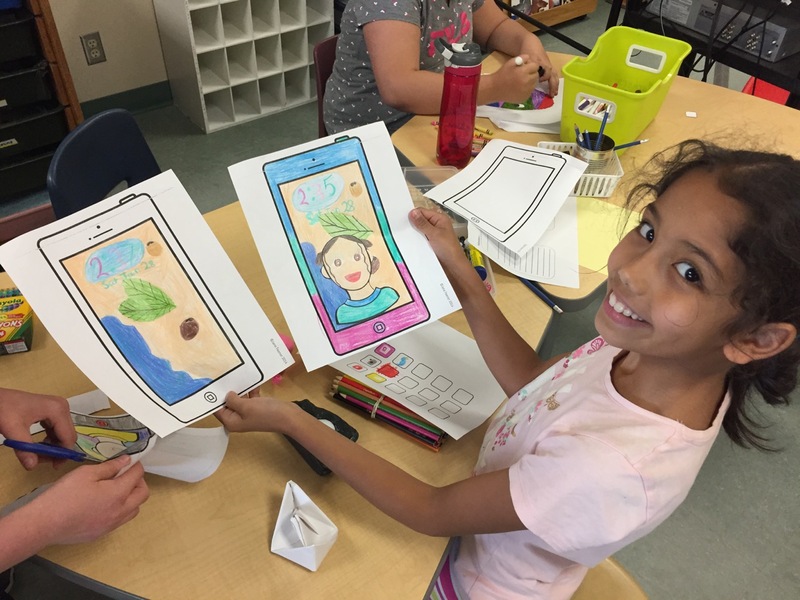 They also had some fun creating their own home screens in art. 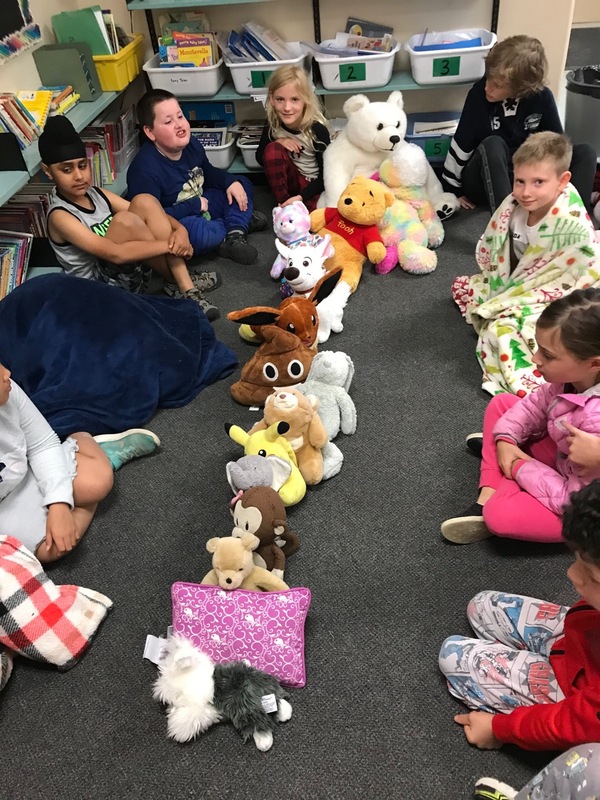 Bananas in Pyjamas Are Coming Down the Stairs – These lyrics are pretty self-explanatory but the title is to share that Mrs Kazakoff’s students had some fun celebrating the reading of Charlotte’s Web with some stuffies, the movie, and PJ Day! I’m a Runnin Down the Road Tryin to Loosen My Load… – I am not sure how Mrs Brooks does it but she sure gets her students to “Take It Easy”. A calm classroom environment can have such a large impact on students being ready and able to learn. From the moment the students arrive in the morning, this class has sponge activities, music, and lighting that all helps them to gain focus… and this is that much more important as we move into the final 2 weeks of school! 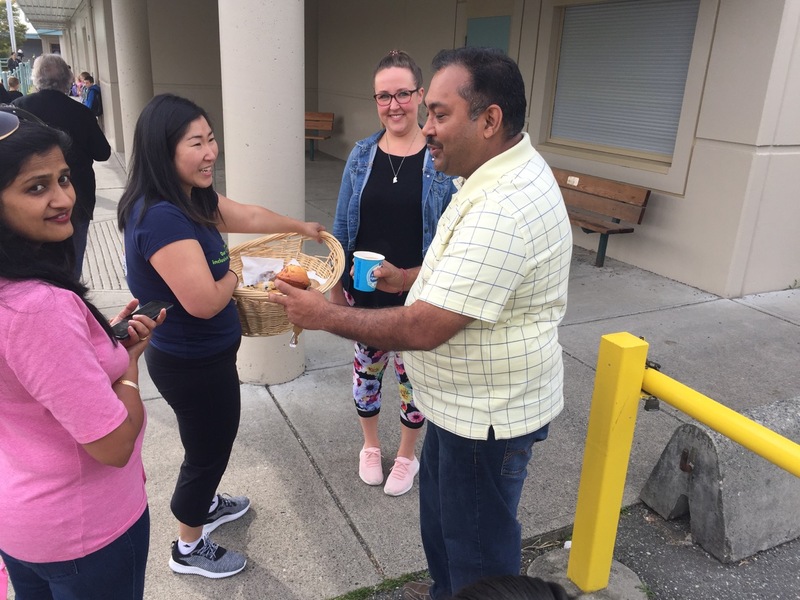 And I Want to Thank You… Yes, Dido might have said it first but our whole staff was out handing out coffee and muffins to parents, grandparents, and all caregivers who were dropping their kids off at school. IF we didn’t see you, please know that we are so appreciative for all the things, small and large, you do for our community! Shine Bright Like A Diamond – Not sure if we have the next Rihanna but we do have many kids with talent! Students auditioned for the talent show in their classes this past week. Some auditions (for those students who are performing with a student from another class) continue Monday at lunch. We’ll Get Together Then Son… You Know We’ll Have a Good Time Then – Harry Chapin’s song never really sunk in until I was about to be a father. We hope you enjoyed some time with your fathers and/or any father figures that are important to you. Monday at lunch will be a chance to audition for those students who are hoping to perform in the talent show with someone from another class. Our final PAC meeting of the year will be Monday at 6:45 in the library. All are welcome. On Tuesday, we invite you to come to our Family Fun Afternoon hosted by the leadership students of LSS. Families are welcome to come to the gym and participate in some free family fun from 3:00-4:30. 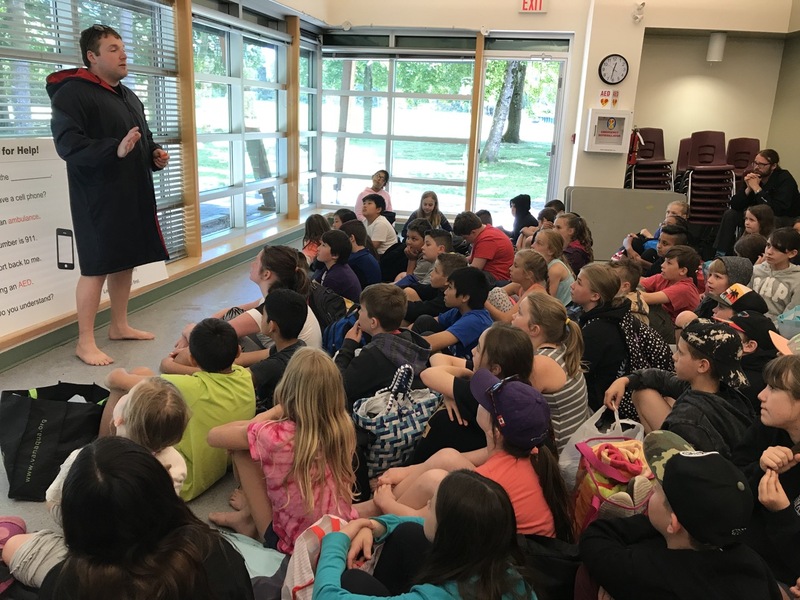 On Wednesday, all our grade 4/5 students travel to Cultus Lake for some fun in the sun at the waterslides! Thursday, June 21 is National Indigenous Peoples Day. We have done an incredible amount of learning this year and this was honoured with our Reconciliation Gathering. 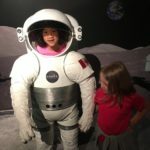 Learning will continue this week and through the end of the year but June 21 will be acknowledged as an important day in Canada. We have our LSS Grad Walk at 12:50 on Thursday. Former students of James Hill who are now graduating will be walking our halls while we all cheer them on before they head to their ceremony. This is an amazing experience so if you would like to stop by and join us, please do! Our grade 5s visit HD Stafford on Friday to help with their transition. 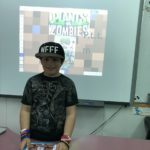 Grade 5 farewell – Monday, June 25 at 1:30pm. 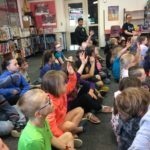 Summer Book Shopping – Monday and Tuesday, June 25-26. FInal school assembly – Wednesday, June 27 at 11:00am. Talent Show – Thursday, June 28 at 9:30am. 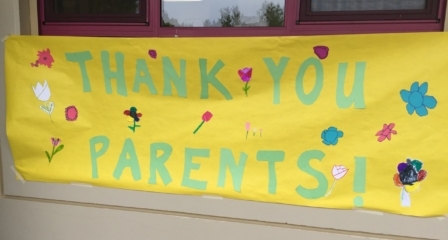 Final dismissal – Thursday, June 28 at 11:36am. A reminder that school supplies must be ordered by the end of this month. Ordering info is here. Our new childcare and preschool provider is Nurturing Hearts Montessori. You can contact them through their website here. Langley Lightning Girls Hockey invites you to “come try hockey” this Sunday. Check out the poster here for more info. For more events and opportunities in our community, click here.